Bippie has the nicest general appearance of all her pen mates of the same age. We love everything about her. Unfortunately she only freshened in one side of her udder. We are hoping this will correct it’s self with a second freshening. 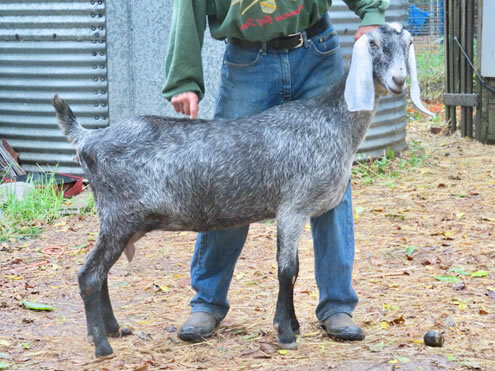 Bippie has her dams size and power combined with her sires correctness and wonderful breed character.